It’s easy enough to cast off the working week with a 48 hour Netflix marathon, plenty of UberEATS, and an all-round lazy demeanor. However, our backyard here in Melbourne is prime for exploring, and the weekend is the perfect time to do just that. So, cast off those trackies, and reacquaint yourself with our fair city—go on, go beyond your regular haunts. Sunday was made for copious cake consumption. 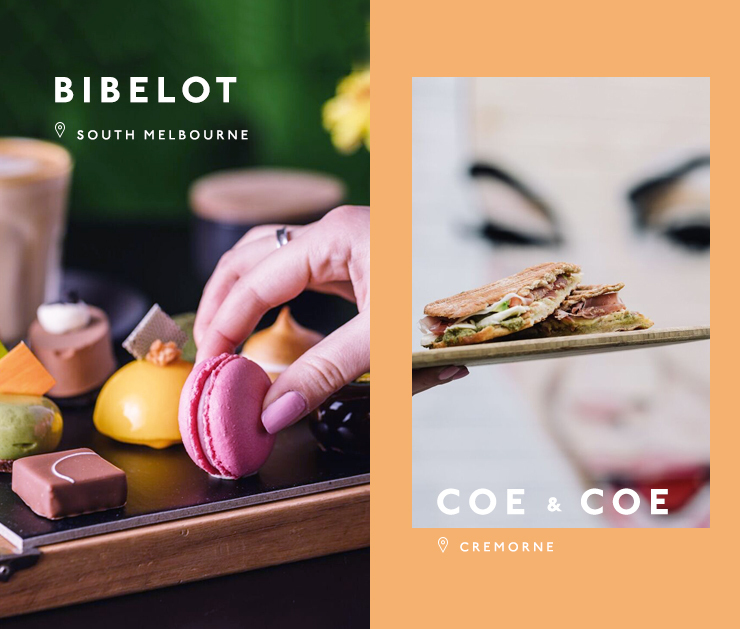 One of our absolute faves across from South Melbourne market, Bibelot (that’s ‘bib-loh’), is the sweetest artisanal patisserie around. The sleek, concrete and marble venue features a high tea area at the back of the store. On lush emerald couches, peruse a menu of Petits Gâteaux, macarons, bon bons, gelato and drinks. If you’re the type of foodie that eats with your eyes, you’ll feel them glaze over at Bibelot’s rainbow display cabinet of treats. Occasionally, and especially on busy mornings, it’s hard to find good service in Melbourne. Coe & Coe are nailing it, tucked away on Stephenson Street in Cremorne. Look out for a café sandwiched between a graffiti of Kimmy K, Donald Trump and Kayne West. The hide-y hole venue keeps it simple with coffees, a range of fresh juices, cheesy paninis and a handful of daily baked treats. 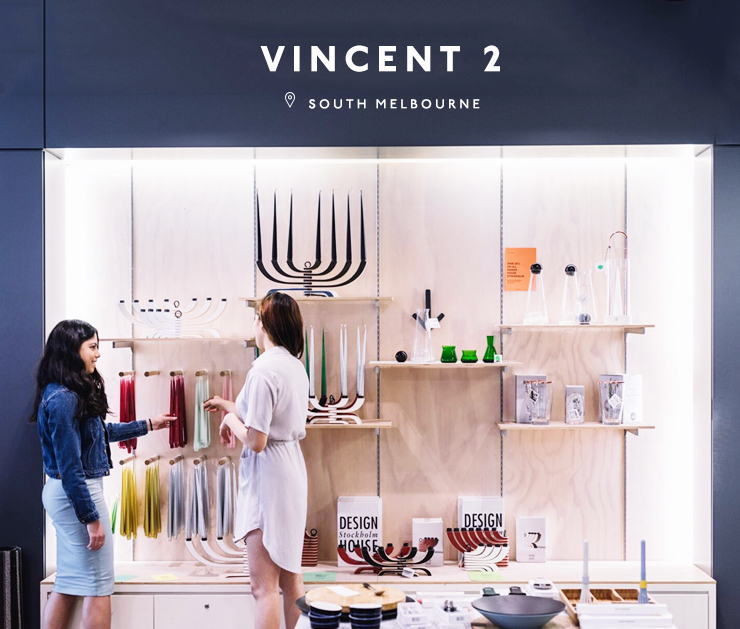 There’s nothing to dislike about Vincent 2—homewares? Tick. Fashion? Tick. Access to caffeine via the hole-in-the-wall café next door? Tick, tick, bye-bye credit card. The homewares company is a family affair (all the more reason to spend), and is heavily inspired by clean, minimalistic Scandi-design. Baggu bags proudly hang across the span of a wall, while pieces from Design House Stockholm work as interior design statements. If you were ever going to judge a shop by it’s cover, Mondopiero is the place to do it. Architecturally stunning with softly curved shelves that run along the floor and brush the ceilings, Mondopiero is a shop that you’ll easily get lost in. Renowned designer and owner Piero Gesualdi presents a curated selection of homewares, furniture, art, accessories, fashion and beauty products. Part of Sun Country on the Murray, ten acres are filled with cacti at Cactus Country (and no, this is not a joke). Explore the huge, towering range of prickly, colourful beasts and afterwards you can head along to the Mexican-style café and cacti store (yes, it’s on-site too). Margaritas are on tap and super nachos and burritos are on the menu, but the real hereos are the cactus cakes and cactus ice-cream (seriously, we’re actually not joking). Lunar Drive-in is bare-bones, but let’s be honest, you’re there for the $30 carload price not for the frills and glitter. Smuggling your own ice-cream, snacks, doonas and pillows has never been easier. Adults are a mere $13 per person, and if you’re willing to camp out for most of the night (in your car, in a car park, if that wasn’t clear already), you can watch a second film for just $10. Editor's note: This article is proudly sponsored by Honda and endorsed by The Urban List. Thank you for supporting the sponsors who make The Urban List possible. Click here for more information on our editorial policy.